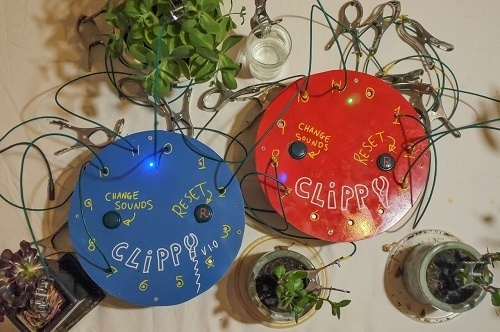 Using Raspberry Pi at its core, Clippy is a stand-alone unit that looks a bit like a salad bowl, with two buttons, one to select sounds and one to ‘reset’ the clips. The oversized clips on Clippy can be used to create individual compositions using numbers instead of note names. In much the same way that Bach used his name as a motif and Schoenberg crunched numbers to create musical masterpieces, participants create music from their names (or any text) using a musical cryptogram! This allows people of any musical skill level to create tonal music compositions and play them using this unique interface. These workshops combine music, technology, art and design to offer students a collaborative experience to discover and explore the unlimited potential of Clippy. Create, build and communicate using the language of sound through this unique platform. 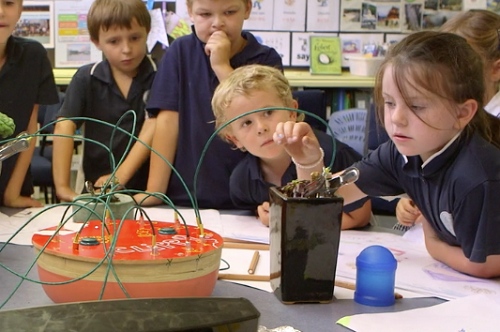 60-minute Clippy workshops involve students creating objects out of tin foil and found everyday objects (to create triggers), drawing and creating abstract musical compositions! Clippy covers music and technology, prototyping and inventions, and musical composition. Minimum fee: Minimum: $825 + GST for 2 x 60 minute workshops - Maximum: $1265 + GST for Full day. Additional fees apply for for regional tours. 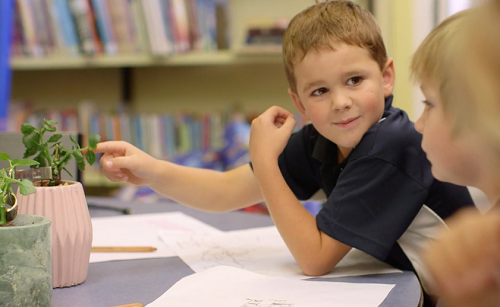 Please contact us on 03 9644 1808 or education@rav.net.au for more information.